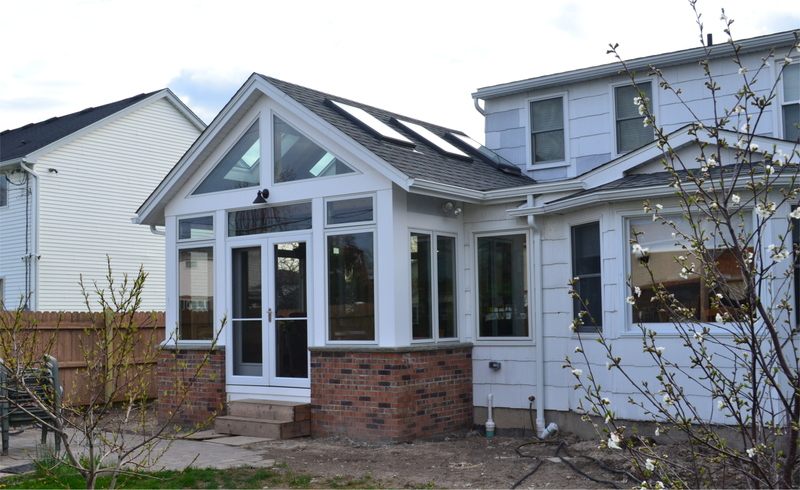 The exterior of the house before the sunroom addition. 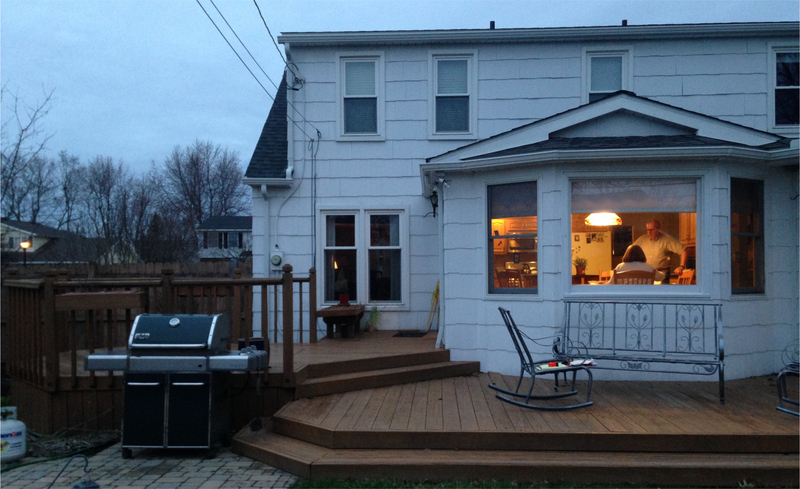 The new exterior after the sunroom was added. 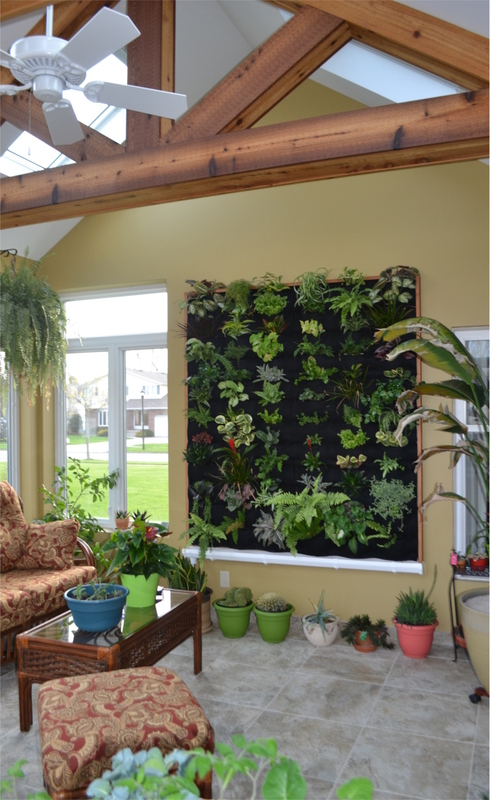 The interior of the new sunroom featuring the living wall and a peaked ceiling. 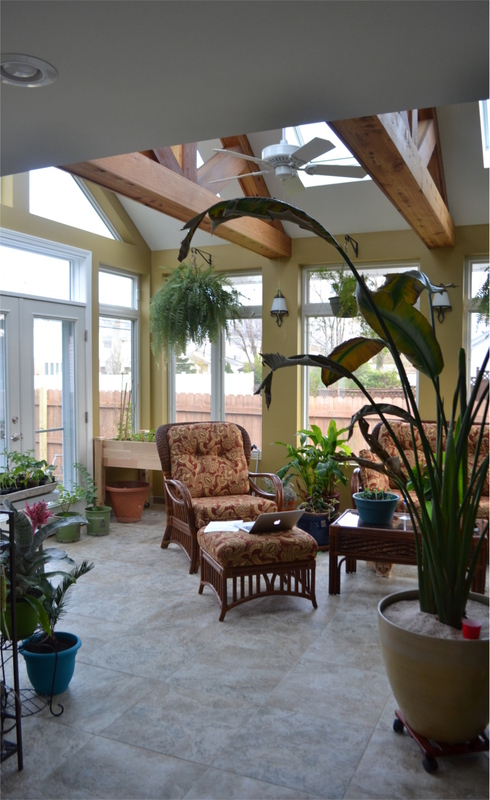 The bright interior of the sunroom with many windows and wooden crossbeams.